Bennett Auto Supply, the Marine Industries Association of South Florida and Show Management raised $50,000 for Sheridan House Family Ministries. Bennett Auto Supply general counsel Justin Bennett (left) is shown with Robert Barnes, who is president of Sheridan House Family Ministries, which received a $50,000 donation; Show Management vice president of consumer marketing Brett Keating; and Bennett Auto Supply senior vice president Scott Bennett. Bennett Auto Supply general counsel Justin Bennett, Show Management vice president of consumer marketing Brett Keating and Bennett Auto Supply senior vice president Scott Bennett presented a check for $50,000 to Robert Barnes, president of Sheridan House. The $50,000 donation was made on behalf of Bennett Auto Supply, the MIASF, the Fort Lauderdale International Boat Show and Show Management. The MIASF owns the Fort Lauderdale International Boat Show and Show Management produces it. Show Management and Soundings Trade Only are part of Active Interest Media. 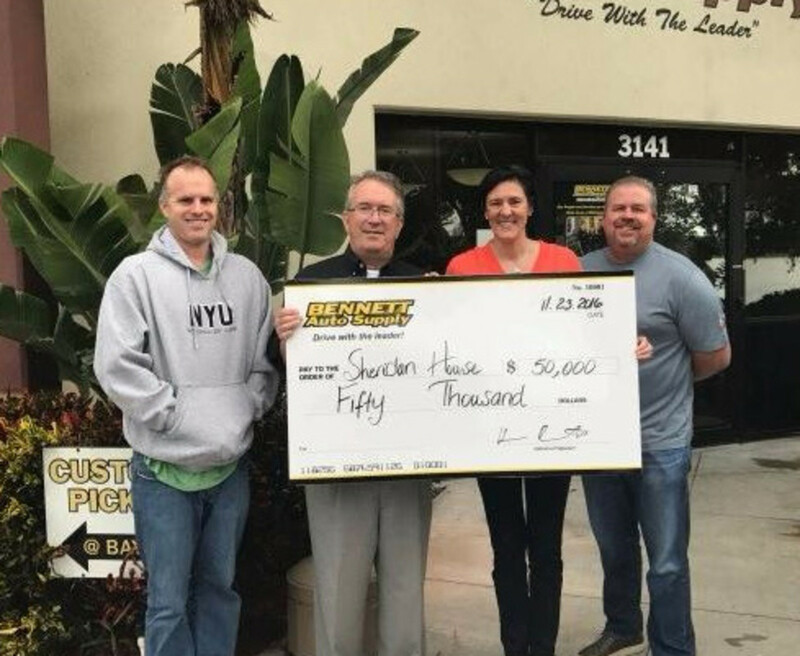 The funds were raised by a radio campaign in which listeners visited a local Bennett Auto Supply location. By making a $28 donation to Sheridan House, they received two tickets to the Nov. 3-7 Fort Lauderdale show. Consumers picked up about 3,500 pairs of tickets.